The Ricoh Theta S is a photo/video camera that captures true 360° images seamlessly. The Ricoh does not require any stitching and is an easy solution to the complexity of 360° video production. 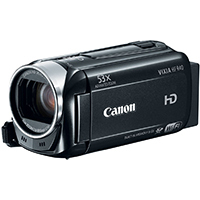 The Canon XA10 is a compact AVCHD video camera. The Canon Vixia is an easy-to-use HD video camera. 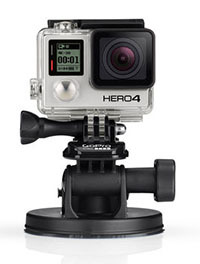 The GoPro HERO4 Black features improved image quality, a more powerful processor, and faster frame rates. 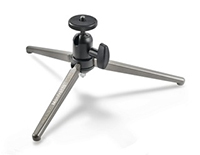 The Manfrotto Table-Top Tripod gives support to small cameras. 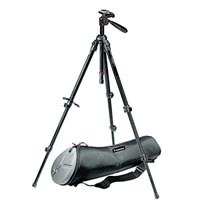 The Basic Plus Tripod stabilizes the video camera during and allows for panning and tilting. 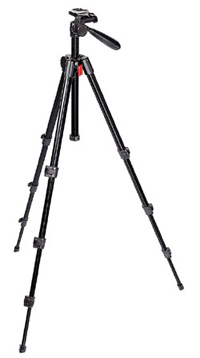 The Advanced Tripod stabilizes the video camera during shooting and allows for panning and tilting. 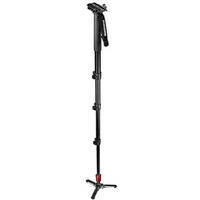 The Manfrotto Monopod (562B-1) stabilizes the video camera during shooting. 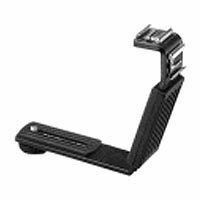 The Glide Gear Professional Camera Slider allows you to make smooth linear camera movements. 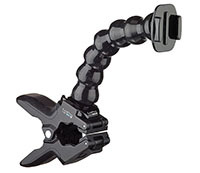 The Bescor A/V Bracket allows the addition of video lights and microphones to cameras without a shoe mount. The Bescor On-Camera Light (LED-70) is a dimmable LED light. The Litepanel Kit is a portable and easy-to-use LED light source. 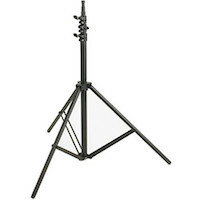 The Litepanel Stand provides support for the Litepanel. 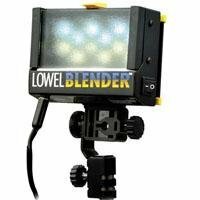 The Lowel Blender Kit has twin arrays of daylight and tungsten LEDs. The Lowel Pro Light Kit is an advanced light best used as an accent light, back light, or fill light. 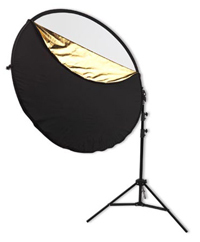 The Photoflex Reflector Kit has a collapsible reflector with five unique, swappable surfaces. 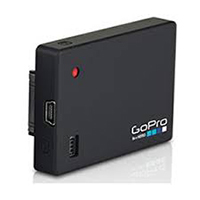 The GoPro Battery BacPac increases the GoPro camera's battery life. 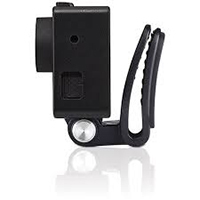 The GoPro QuickClip is a compact, low-profile mount. 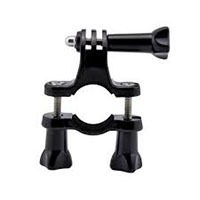 The GoPro Tripod Mount connects the GoPro in its housing to a tripod. The GoPro Handlebar Mount enables a shot from the handlebars of a bicycle. 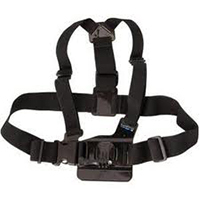 The GoPro Chest Mount allows you to capture immersive video during action sports. 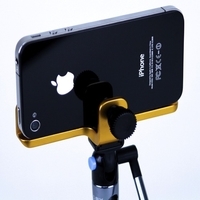 The ANYCASE Smartphone Tripod Adapter allows for stable filming. 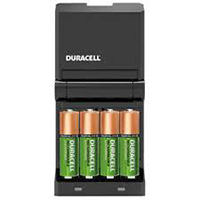 The Rechargeable Battery Kit includes a battery charger and four AA rechargeable batteries. 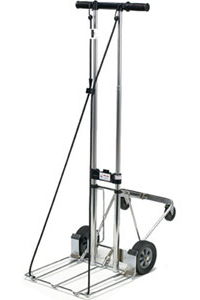 The Equipment Cart helps to transport large amounts of equipment. 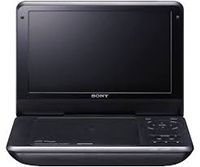 The Sony Portable DVD Player (DVP-FX980) has a high-resolution display and a four-hour battery life.